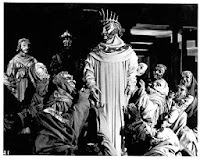 Does a 'proper' tragic hero need a crown? Christmas Eve brought an email inviting me to write an essay about tragedy and social class. Why did everyone in Greco-Roman antiquity and into the 19th century think tragic heroes had to ‘fall from high estate’? It was only partly because Aristotle had decreed in his Poetics that heroes should ‘have a big reputation and fortune like Oedipus and Thyestes and distinguished men from families like theirs’ [i.e. royalty]. I have always thought myself that half the pleasure of tragedy was motored by underlying envy--watching very rich and powerful people have a really bad day offers much the same Schadenfreude to us commoners as we derive from reading about billionaires’ botched Botox and miserable divorces in celebrity-watch magazines today. But I have a problem with this commission which I hope crowd-sourcing can help. There are a few working-class tragic heroes in the cultural repertoire. Jesus of Nazareth, on a secularist account, was the first. Born to loving parents and general applause, he ended up executed by a repressive establishment because he banged on about the poor: theologians agree that the Gospels show the influence of Greek tragedy in their structure and tone. Theatre historians, on the other hand, will tell you that the breakthrough came in 1837 with Karl Georg Büchner’s revolutionary (and unfinished) tragedy Woyzeck, which portrays its soldier-hero’s fall from a very low estate to conviction for murder. In the projected essay I have been asked to discuss media other than theatre, and this is where my problem starts. Fiction is easy—Godwin’s Caleb Williams and Hardy’s Jude—but cinema is giving me problems. 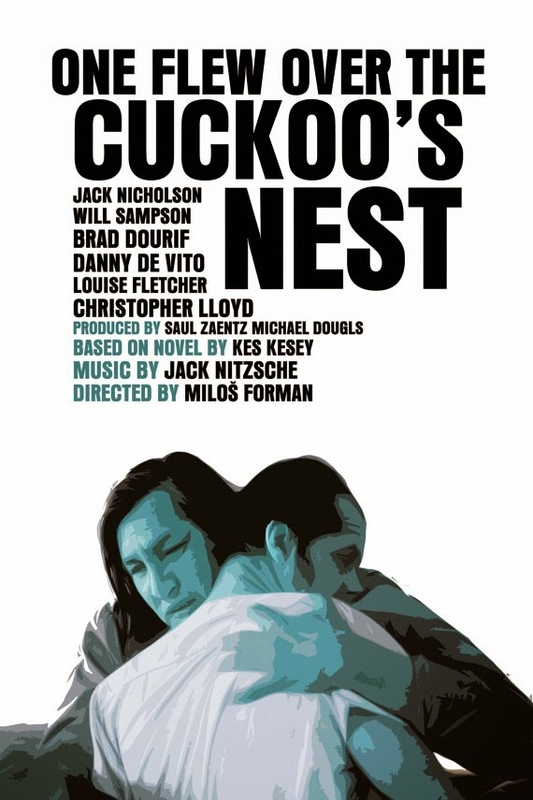 The Father Of My Children suggests Milos Forman’s One Flew Over the Cuckoo’s Nest, and I have been pondering both Trainspotting and Mike Leigh’s Naked. But inspiration is otherwise lacking. If you have an idea, please do comment or send me an email @kcl.ac.uk. If I use it you will of course be credited by name in the essay although this will certainly not make you rich and famous enough to star in a pre-19th century tragedy or even Hello! magazine. Any proposed artwork will have to fit my own general definition of tragedy: it needs to depict suffering in an aesthetically/emotionally gripping way, without voyeurism, and to enquire into the causes of that suffering. Collateral damage (to innocent people trapped to their cost in the hero’s plot) is, of course, particularly welcome. A tragic "hero" that comes to mind is the Rev. Dimmesdale from Hawthorne's The Scarlet Letter. He has all the status a person could possibly want in Puritan Massachusetts; yet, he has a host of faults that bring him to a rather full public humiliation, which he does deserve, at the end. I wonder if there's a slight distinction to be made in the comparison. Many of the ancient tragic heroes were likely inspired by real life individuals; it might well be that factors governing how such stories coalesced around figures, and how such stories were retold - and by who, to whom, and why - dictated they were almost exclusively royalty or the like. My initial thought is that there isn't tremendously great reputation of the lower classes in any form of art until much more recently. More recently, popular culture has produced many working class tragic heroes - as creators, rather than creations, of art. Being a child of the 90s, my generation's tragic hero was Kurt Cobain; and popular musicians had, of course, provided fairly frequent tragic heroes for several generations prior. I don't have a particularly cohesive point to make here, but it does occur to me that if the early tragic heroes were often real individuals in misremembered or much exaggerated circumstance, today, culture often provides tragic figures outside of the works themselves also. A further question I'm tempted to raise is whether much modern drama really tends to have identifiable heroes; the broader concept of protagonist is probably dominant. The lack of overt heroic status in such characters, combined with an initially 'Low Estate' anyway could be seen as producing something more like relentless misery than heroic tragedy, which is possibly part of what makes identification so difficult. With that in mind, perhaps Billy Casper in Kes. For a tragic anti-hero (well, serial killer and hence villain, really, I suppose - though hardly any worse than many classical tragic 'heroes' and certainly fitting the 'collateral damage' criteria) perhaps Jean-Baptiste Grenouille in Perfume, by Patrick Suskind. I'm not sure Captain Ahab is really a 'hero' either, but he was an orphan, so possibly from a very low station, though always a Quaker, which might complicate things; how much of his background is described beyond that, I'm unsure. Do you think that the 1972 film Sleuth is relevant to your topic? It can be viewed as a tragedy and class is one of its themes. Michael Caine's character, Milo Tindle, is the son of an Italian immigrant and an English farm girl. Think Like a Druid Week, Anyone?